How to Clean Flip Cover of your Smart Phone? Clean the flip cover case (specially White Flip Cover) of your smartphone or mobile easily using any of these simple but effective tips. These tips use material which is easily available in your household and local markets. Yes!! You read it right. Commonly available Face wipes or baby wipes are one of the most effective methods to clean your smartphone’s flip cover. Just gently rub the flip cover surface using a face or baby wipe and see the dirt disappearing like magic. Just make a concentrated detergent solution using household washing powder. Use some cotton or a microfiber cloth to clean the surface of flip cover. It is very effective method. Be careful though not to wet your device by solution dripping from cotton or cloth. Also, use this method for severely dirty flip cover cases. For regular day to day cleaning using wipes is a better alternative. Contact lens cleaning liquid (non-ammonia type) is an effective dirt cleaner and can be used for cleaning your mildly dirty flip case using a piece of cotton or microfiber cloth. 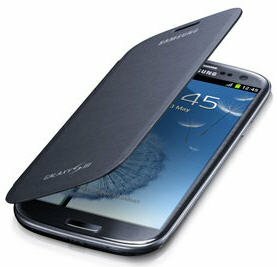 This is specially useful for premium soft leather smartphone cover cases. Yes!! Once again a very common household item i.e. your deodorant to clean your mobile flip cover case. Just spray it gently on the mobile’s flip cover and use a cotton to wipe it clean. The mild alcohol content in the deodorant will quickly clean the dirt sticking to your smartphone’s flip cover case. You can use a glass cleaning liquid like Kollin etc. to clean the mobile flip case with a microfiber cloth. However be careful with soft leather cases and first test on a small portion before applying to the whole surface.